I’m so sad that today is the end of #ChristmasWeek but we’re ending it with a bang! 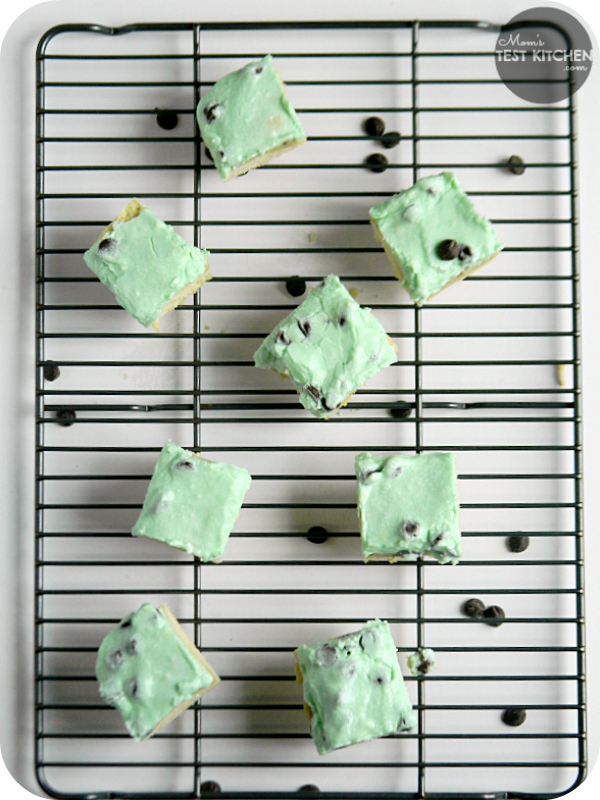 First, these Mint Chocolate Chip Sugar Cookie Bars are A.Mazing! And the giveaway we have to end this week is even more A.Mazing!! 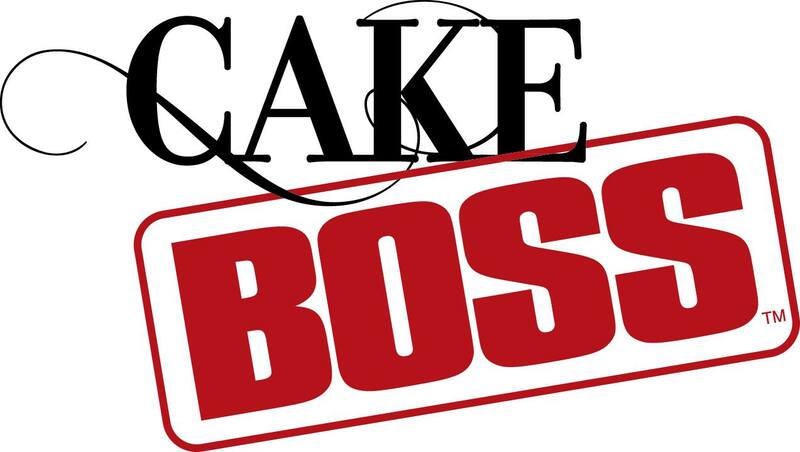 So keep on scrolling down, check out the recipe & then get entered to win some serious goodies from #CakeBossBaking! In a large bowl sift together flour, salt, and baking soda. Using a stand mixer or hand mixer, cream the butter and sugar until fluffy. Add the eggs, one at a time, mixing well after each egg. Mix in the vanilla. Reduce the mixer speed to low and slowly add the flour mixture to the butter mixture and mix just until combined. Cream the butter. Beat in the sugar and peppermint extract. Add the milk (add more sugar or milk to get desired consistency, I made it exactly as written.) Add drops of green food coloring until you get your desired color of green. Fold in the chocolate chips. 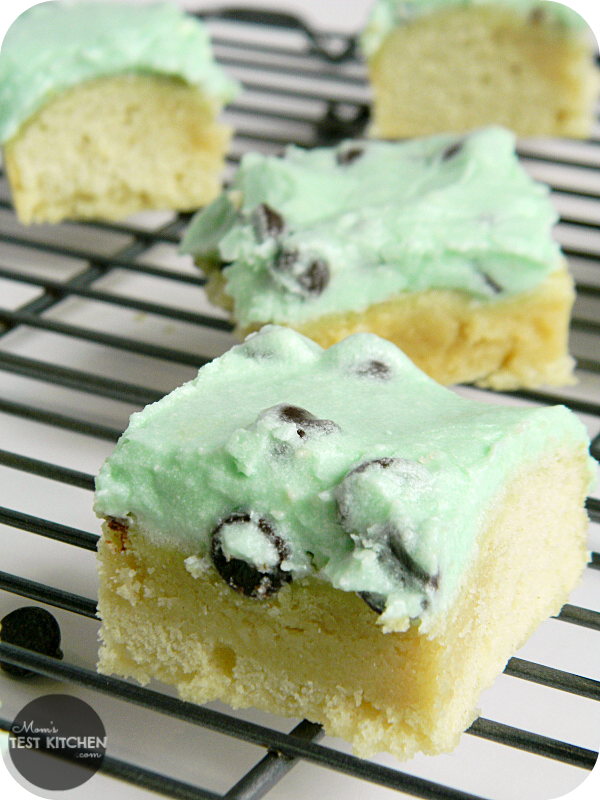 Frost cookie bars. Cut into squares. The frosting made the way it is written is not a thick frosting (it wouldn't stand up on cupcakes) If you'd prefer a thick frosting, you will need to add more powdered sugar. I would make a cake for Christmas! Yum! I can almost taste the mint frosting on top of those cookies! Mint chocolate chip things make me swoon every time. LOVE these! Jen @JuanitasCocina recently posted…Slow Cooker Pumpkin Cobbler ~ #ChristmasWeek Day 6 with a #CakeBossBaking #Giveaway! Wow, those are not only gorgeous but they look so yummy!!! These look ridiculously good, I will DEFINITELY be making these in the near future! Kristin @ Dizzy Busy and Hungry! recently posted…Elf Nibbles for #ChristmasWeek and a #CakeBossBaking Giveaway! Thank you Kristin! I hope you like them! 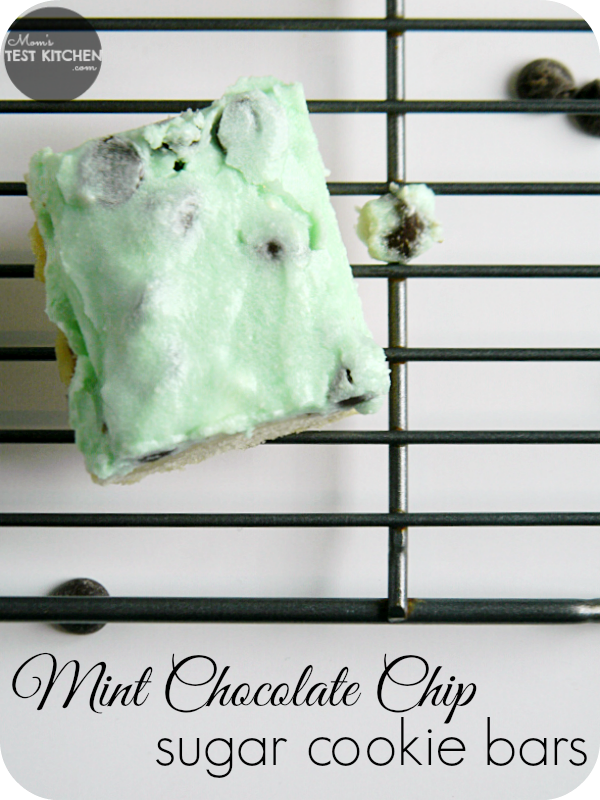 I love mint chocolate chip and I’m quite excited you paired it with sugar cookie bars! Love this! I just went to a cookie party and one of my friends made mint chip cookies! All the holiday treats for our neighbors!! keri @ shaken together recently posted…The BEST Cookies for a Holiday Cookie Exchange ~ Featuring YOU!! I would make a New Year’s Eve cake! I would make a gingerbread cake! Oh my minty heavens!!! I’m a sucker for a good sugar cookie… but a bar?? Yes please!! And that frosting is just a bonus!! Christmas Week rocks, but man I was tired by the end of it. Lol. I am sad it’s over though. Thanks so much for joining us. It was a pleasure to have you. Thank you for the giveaway. The bars look delicious! Can’t wait to try them! I would make snowball cookies for chirstmas! I would make mini lemon poppy seed bread loaves. Yum!! have to start with this recipe, yum! I would love to win so I can make some of my banana bread and some sweet potato bread. Such a great idea! Made two batches and both were still under cooked. Perhaps a longer time or a bigger tray for a thinner bar. 10-15 minutes is not enough! No one like food poisoning.